Todays Every Inchie Monday theme is heart. I thought of different ways to make this inchie, but when it came down to it our weather was my inspiration. We have had a gloomy, windy and cold spring often punctuated by bouts of snow. In fact I heard from a friend that is was snowing this morning a few hours west of here. 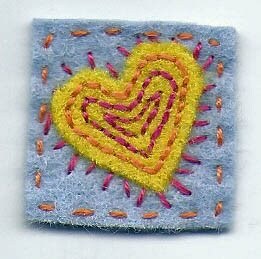 Given that, I wanted something bright and sunny to make up for the outside gloom, so here is my yellow heart stitched with bright orange and magenta thread. I am thinking of it as a talisman that will call to the sun and bring it forth! To see other heart inchies go here. Sounds like our weather is very similar. I hope it warms up down there and that your heart talisman helps. Very sweet inchie. 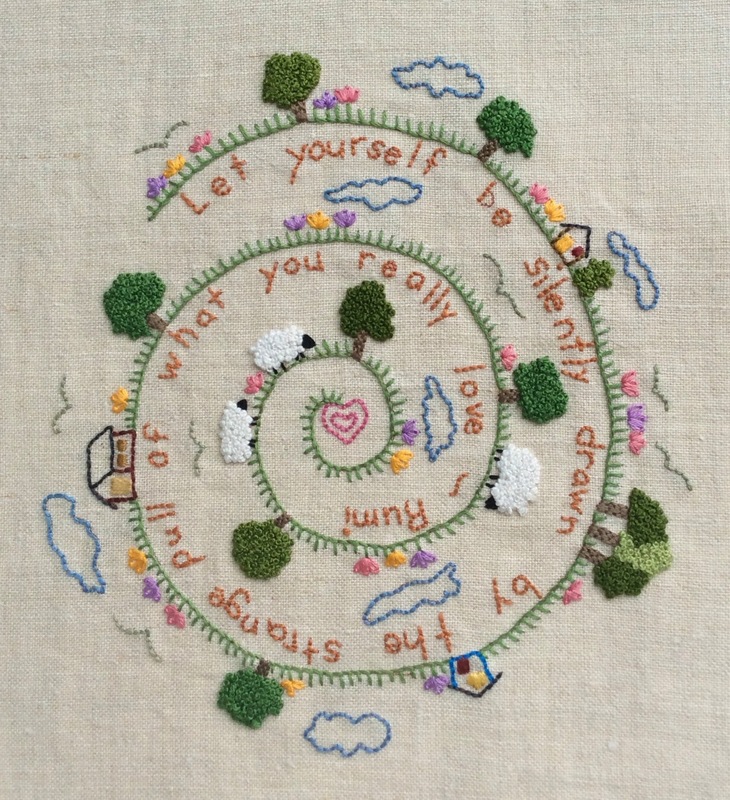 Another great stitched piece. Lovely heart and it looks like it has a smile in the middle! Made me smile when I saw it. What a cheerful little textile inchie. I hope you get your sunshine. It is a very happy, uplifting heart, full of sunny cheerfulness.